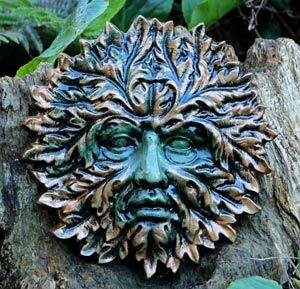 Gort is Our best selling Green Man Sculpture. often used as a tool for the searching of the self. other friends peeping through the foliage. Size: 41cms long x 27cms wide. so suitable for outdoor use. Supplied with a hanging hook on the back. Also available in marble finish. Hi. I just want to say Gort Green Man arrived safely today and he his absolutely gorgeous. 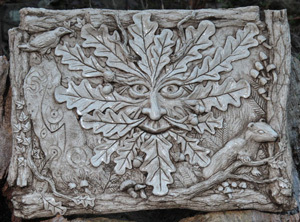 He is a Christmas gift for my husband who has wanted a Green Man for our garden for awhile now. I love him, and I'm sure he will too. My husband's grandmother was born in a cottage in Tintern. So in a way you could say, so was our Gort. Thank you so much for the prompt service. And thank you too for the little gift included in the parcel. beautiful and arrived safely and very quickly. It’s hard to convey how pleased I am, once again Thankyou. 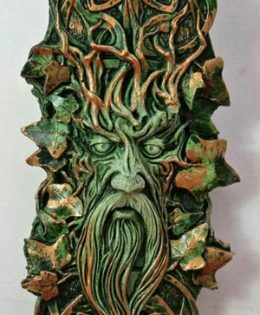 I received my Green Man really quickly. He is so handsome, noble and wise and went up almost immediately on my kitchen wall to look out over my back garden and the field and trees beyond, I think he, his owls, mice and snails will be very happy here. 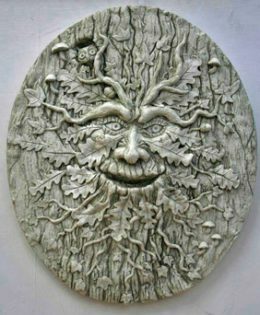 Thank you too for my Chewton Mendip Green Man. He is now above what was once the back window of the 200-year old beamed cottage which forms part of my lovely house out here in the ancient countryside of south Gloucestershire. He can see up the garden but is indoors, looking through the family room to keep an eye on me and the dogs - and hopefully bring us luck. Many thanks once again for your marvellous creations. 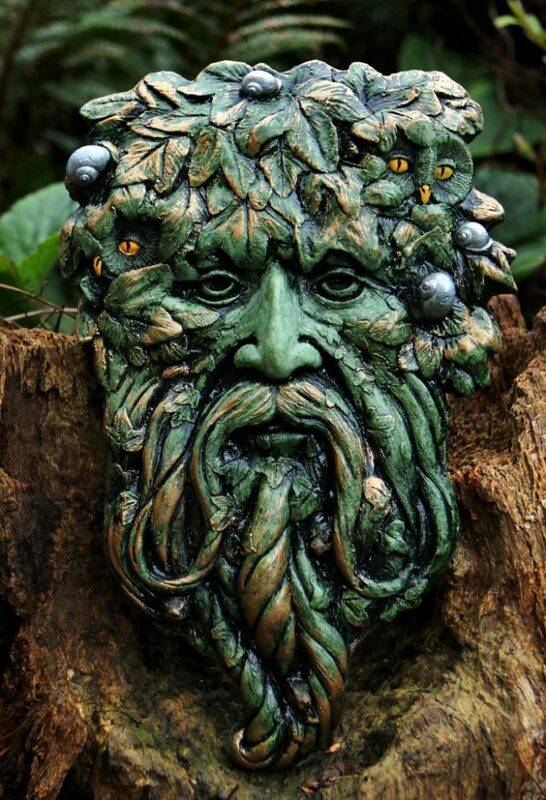 From Customer Abbie: Thank you so much for the beautiful Gort green man ornament. I bought it for my dad for Christmas and I can’t wait to give it to him, he will love it! The delivery was much faster than I thought and the ornament itself exceeded all expectations. I will be ordering again! Abbie 14 dec 17. 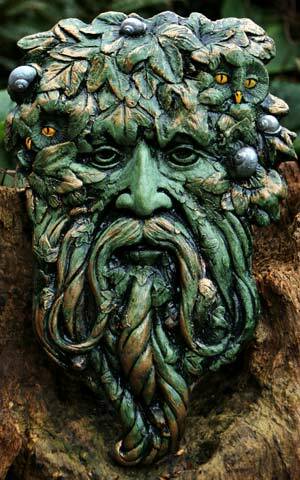 Thank you too for my Chewton Mendip Green Man. He is now above what was once the back window of the 200-year old beamed cottage which forms part of my lovely house out here in the ancient countryside of south Gloucestershire. He can see up the garden but is indoors, looking through the family room to keep an eye on me and the dogs – and hopefully bring us luck. Avalon Green Man: green/gold finish.